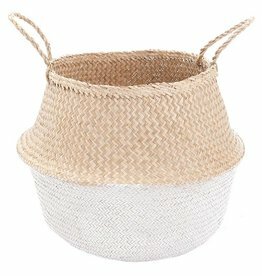 Seagrass belly basket with a white zig-zag pattern created with recycled paper. 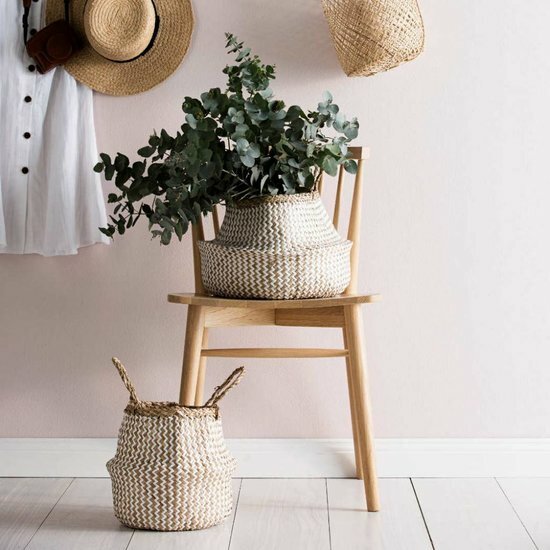 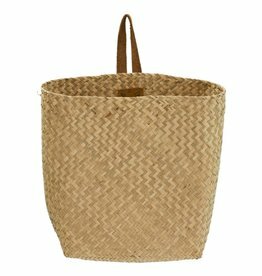 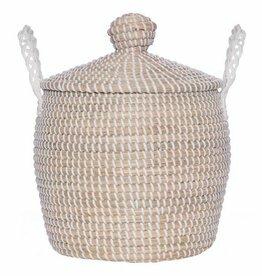 The small storage basket is perfect for storing newspapers, toys, towels, plants and much more. 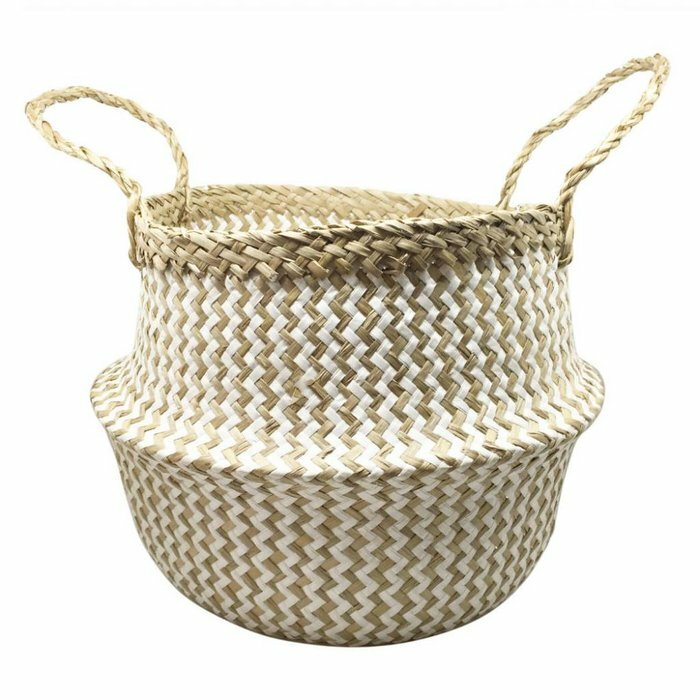 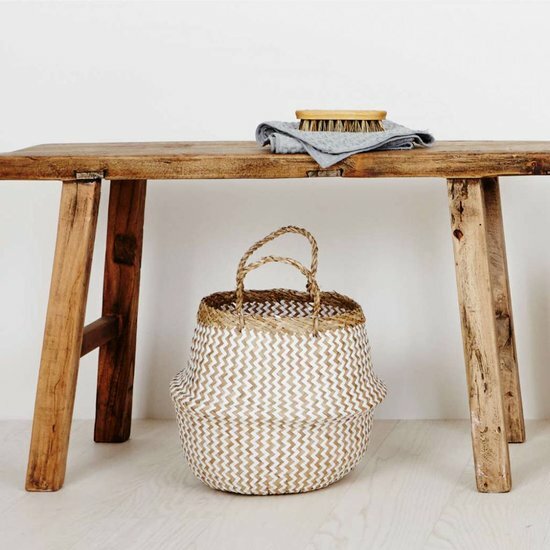 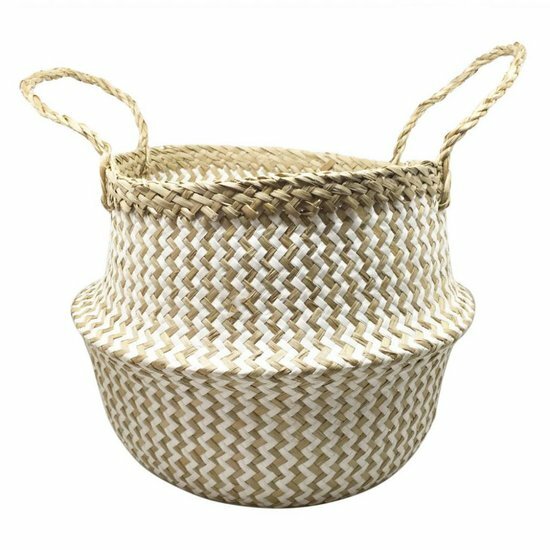 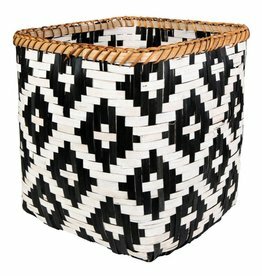 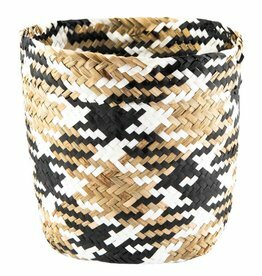 Handmade in Vietnam, the Fairtrade basket is ideal for all chevron lovers.